I realize I am way behind on some of my thrift finds that I want to share. 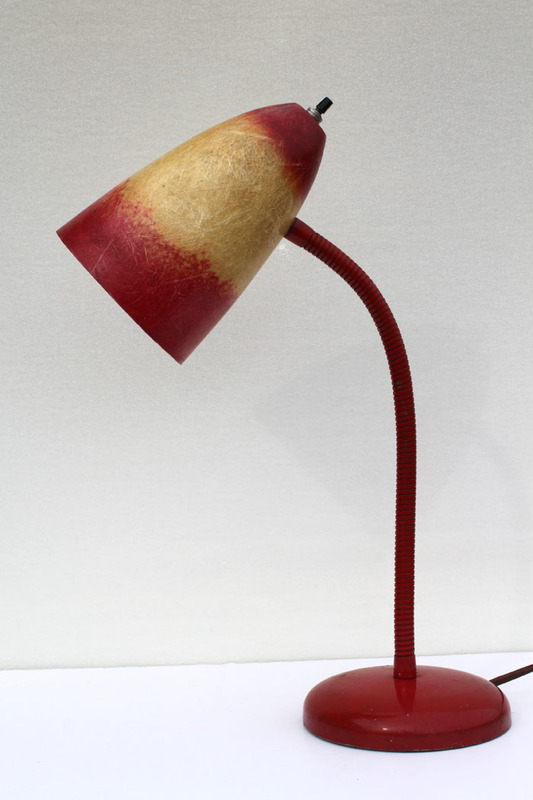 I absolutely love this red gooseneck lamp. Already have a gooseneck lamp in my house, but the red with yellow is so fun. 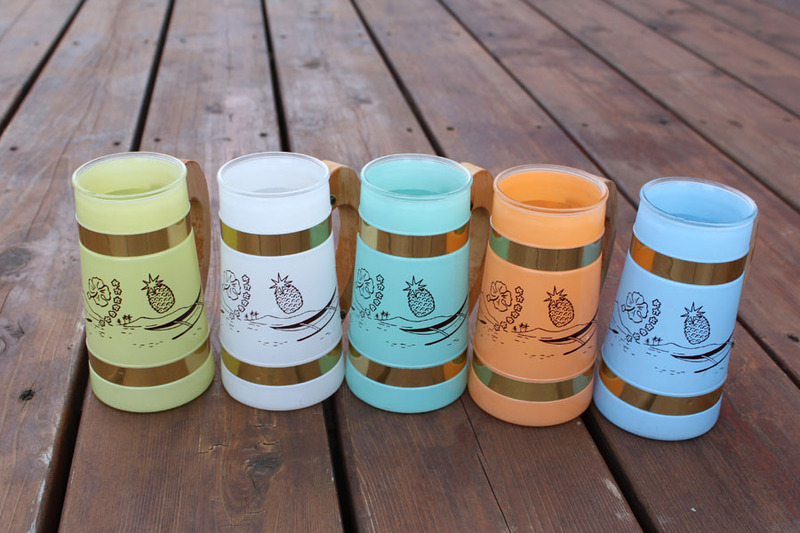 These tiki glasses are fun and festive. A cold beer sounds refreshing right now. 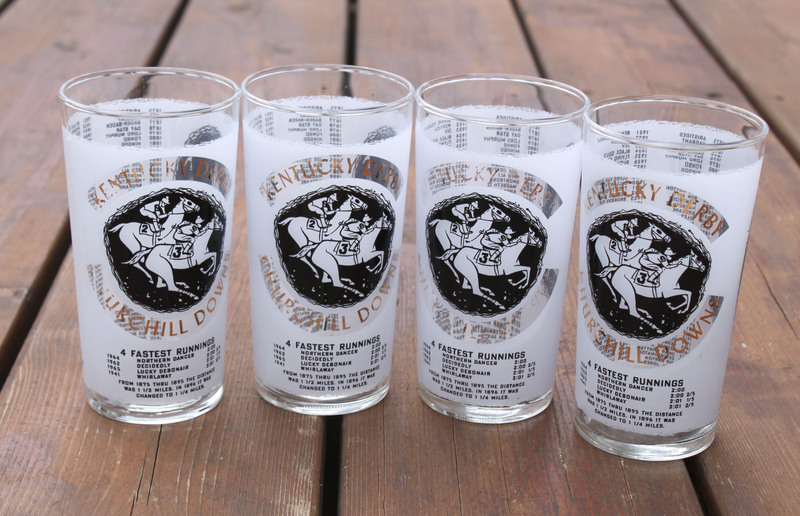 I was lucky to find these old Kentucky Derby glasses. All four are the same. I don’t really follow horse racing, but I knew someone out there must. They are already sold. 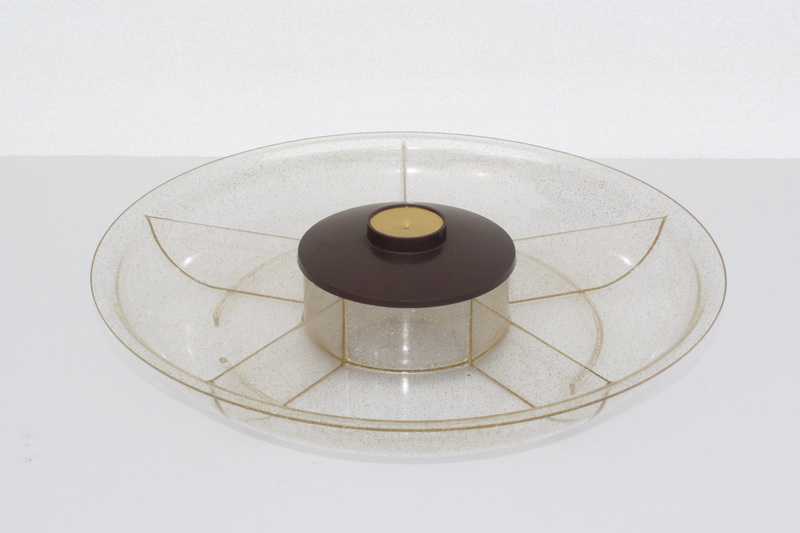 With holiday coming, this 1960s plastic vegetable and dip tray might come in handy for someone. 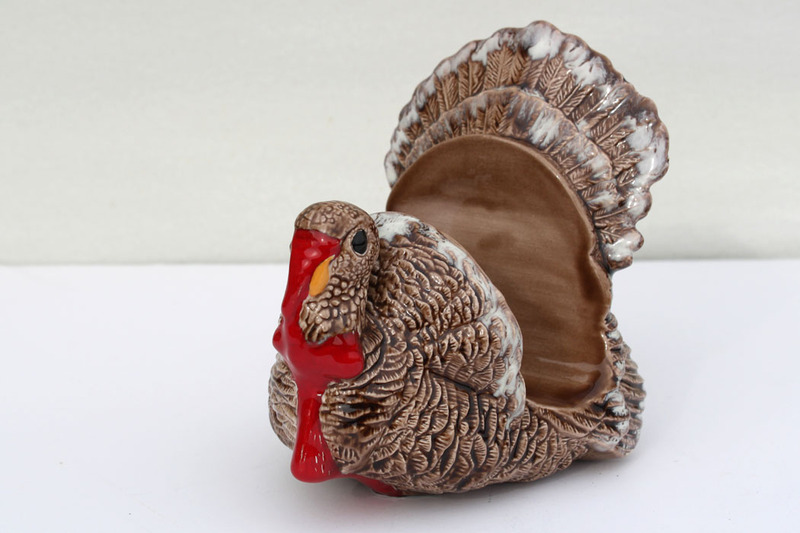 This turkey napkin holder will be so cute this November. 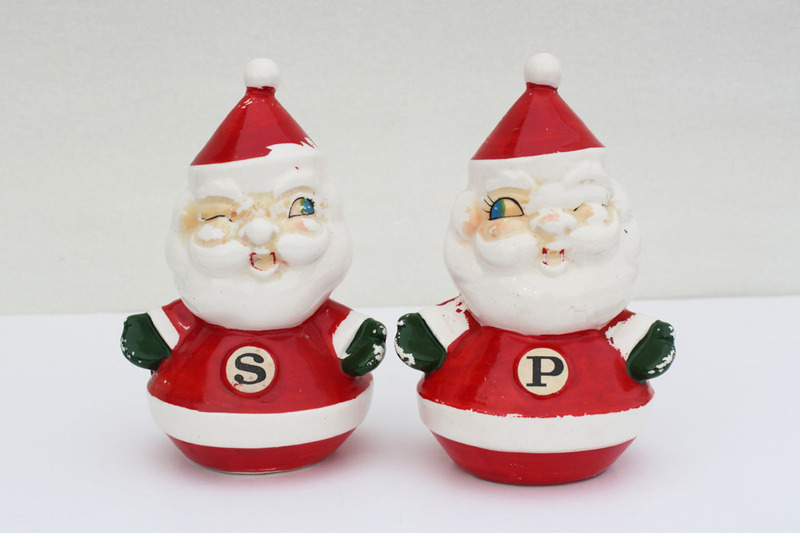 These Howard Holt Santa Salt and Pepper Shakers will be great at Christmas time. 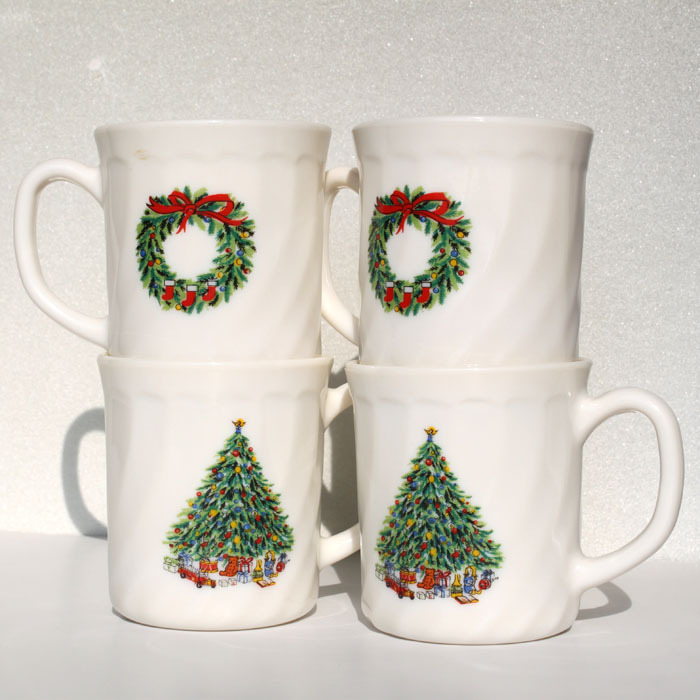 Or these Christmas mugs will be great for some spice apple cider or hot chocolate. 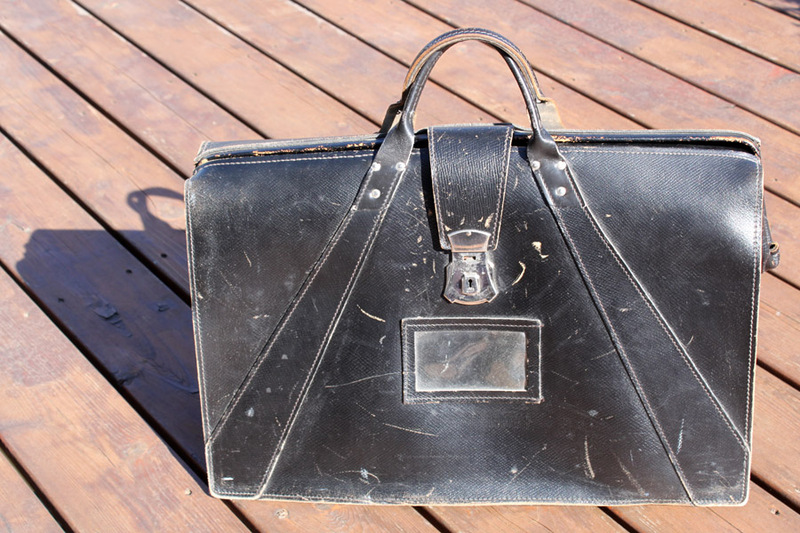 Finally I just had to show you this Leather Government Document Briefcase. It has been used, but it could be a fun storage bag that could be displayed. I wonder what kind of documents this one has held? Holy hell, I love every single find! That lamp is incredible, as are the derby cups, siestaware, kentuky derby cups…great haul! Thanks, some weeks are good in the junkin’ search.